WordPress can be a bit confusing initially, because there are WordPress websites that are powered by a hosting company, and then there is WordPress.com which is a bit like having a Facebook account, only in blog form. One costs money but is very customized, the other is free, but limited. Hosting is like the land you rent to build a house on. 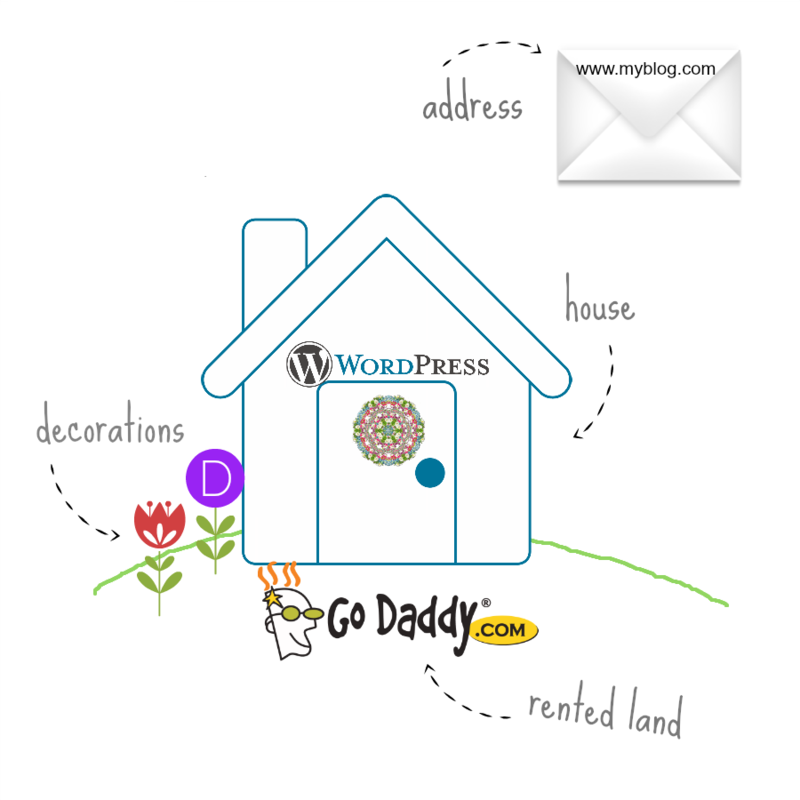 Domain is the address to your house. WordPress. This part is free! This is like the house you build on your land. Theme is the roofing, the siding, the paint, the flowers, the decorations in your house! You can decorate it and make it look however you want! There are many options for hosting, but the ones I’ve used (and I’ve been happy with all of them) are Momwebs, GoDaddy, and Bluehost. You can usually get a year of hosting and a domain for about $60 for the first year. They always have specials for first-timers! After the first year you can expect to pay around $120 a year for your domain and the hosting together. Price: For $100.00 I can set all of this up for you, plus install WordPress (this does not include the actual hosting fees I described above). You may have heard about the free WordPress.COM option. That is kind of like living in someone else’s apartment…you don’t have near as much control and say in how you want things to run or to look! This can be good for a beginning blog, but you can’t use this option if you plan on selling or promoting anything for sale at your blog.